At Oculus Connect 4, Mark Zuckerberg announced that Oculus was working a new headset that sits in a “sweet spot” somewhere between Gear VR and Rift. Today the Groove Jones team received their early shipment of the new HMD (Head Mounted Device). Officially called Oculus Go, this headset requires no phone and no cables running to the PC. It is a single unit that will be going on sale for $195, according to early reports. 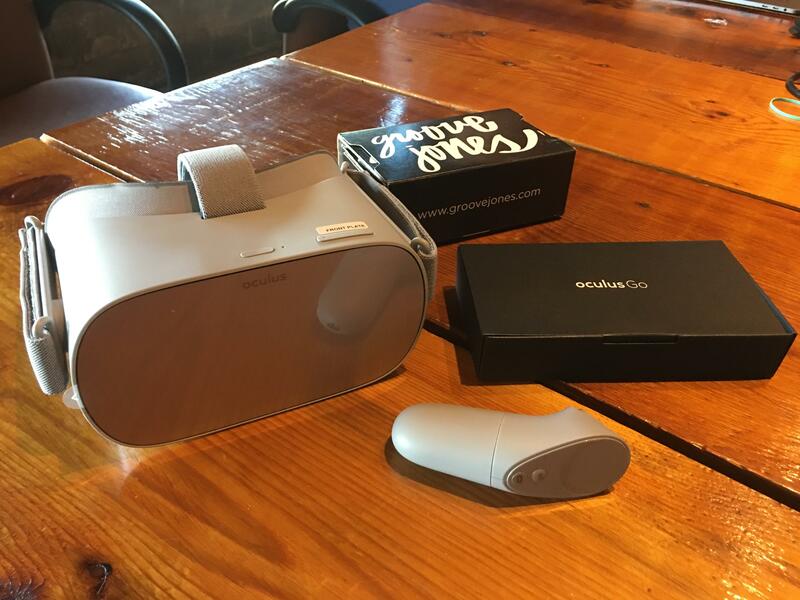 This is good news for brands and agencies that are looking for a cost effective VR headset that performs just as good or even better than a Gear VR, which can retail about $895 – $795 when you buy the headset and a phone. The Oculus Go is a fully standalone “all-in-one” device. Not only does the device come with builtin display and processor, it also comes with builtin headphones! While not as great as an over the ear headphone, these internal headphones work great and actually are handy for events and activations. We help manage and run multiple events every year and having a built in headphone means brand ambassadors spend less time onboarding guests and less time dealing with wires. Plus, one less peripheral that can go bad. So we are pleased to see this. Companies interested in having Groove Jones develop for the Magic Leap platform should reach out to us at whois@groovejones.com or tap the link below.